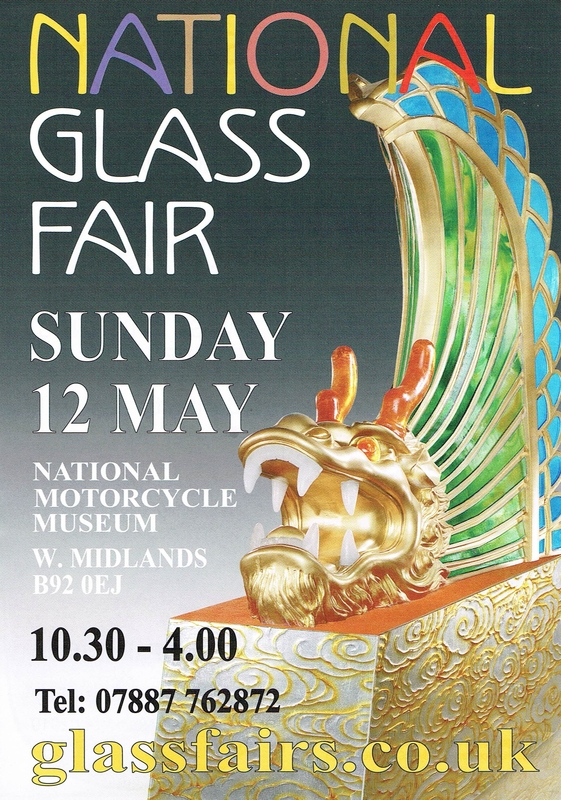 Whether you are interested in Victorian decorative glass, 18th century drinking glasses, pressed glass, carnival glass, Scandinavian and Italian Modernist glass, contemporary Art Glass ,stained glass or any other kind of glass, you are sure to find something of interest . Members are invited to bring an item from their own collections for discussion, with a panel headed by Simon Cottle, in place of the advertised talk by the late John P Smith, former GC Chairman. 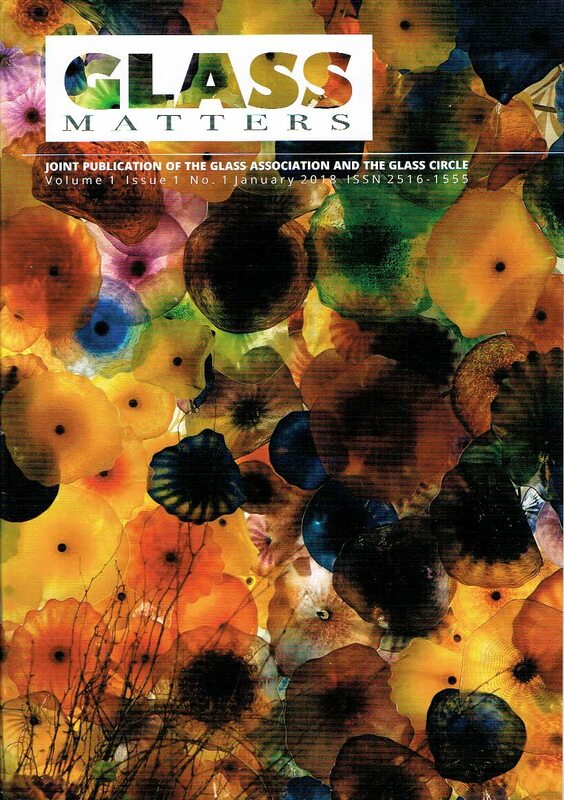 The Glass Association and The Glass Circle will merge in 2019 to form The Glass Society. 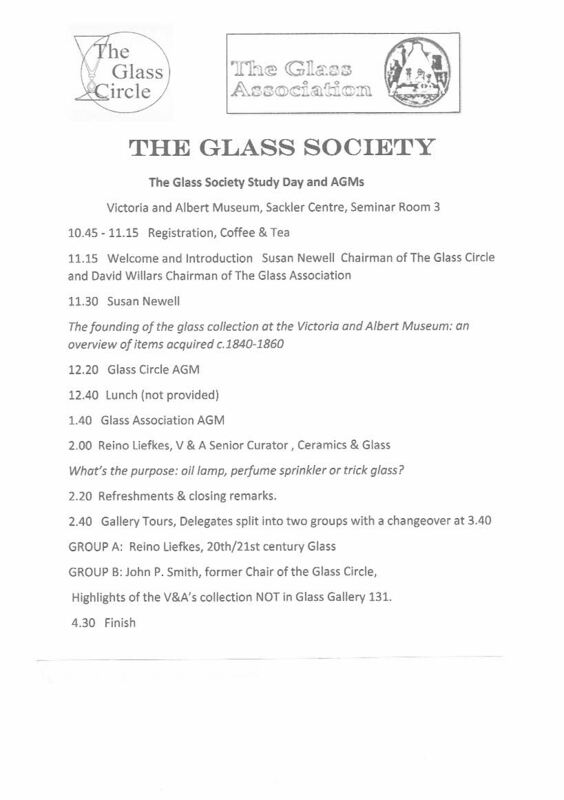 Our joint AGM & Study Day was held on Saturday 13th October at The V & A . 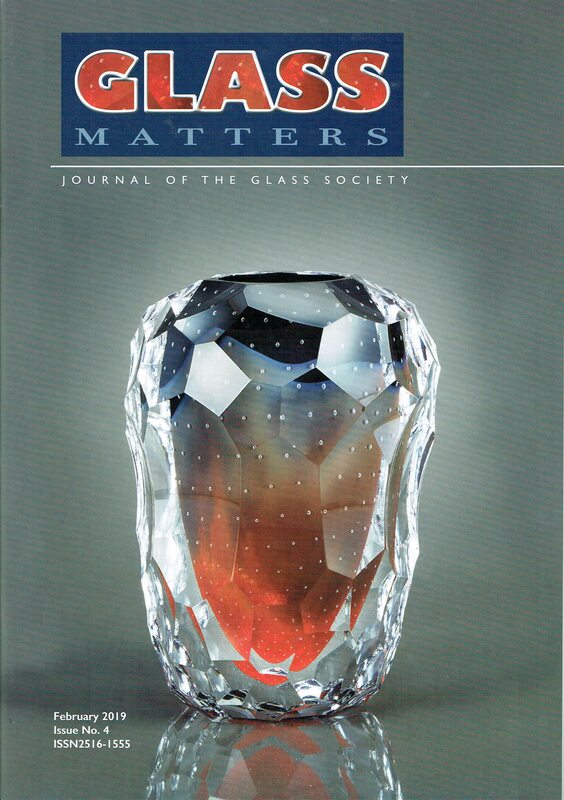 The third issue of our joint publication Glass Matters was published this month. WHAT'S on in THE WORLD of GLASS ? 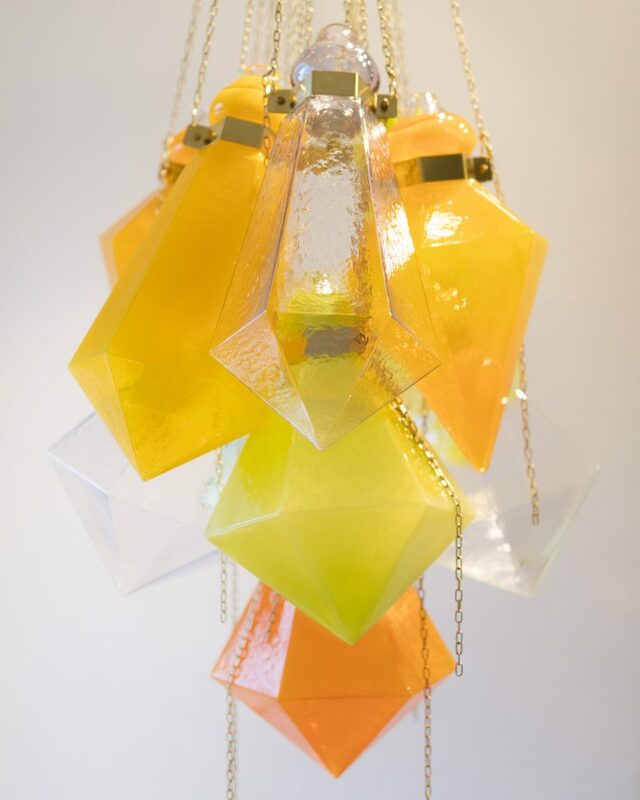 Read more about WHAT'S on in THE WORLD of GLASS ? TALK - Evidence of Original Designs by Dr Christopher Dresser in the Pattern Books of Thomas Webb Stourbridge - by Clive Manison. 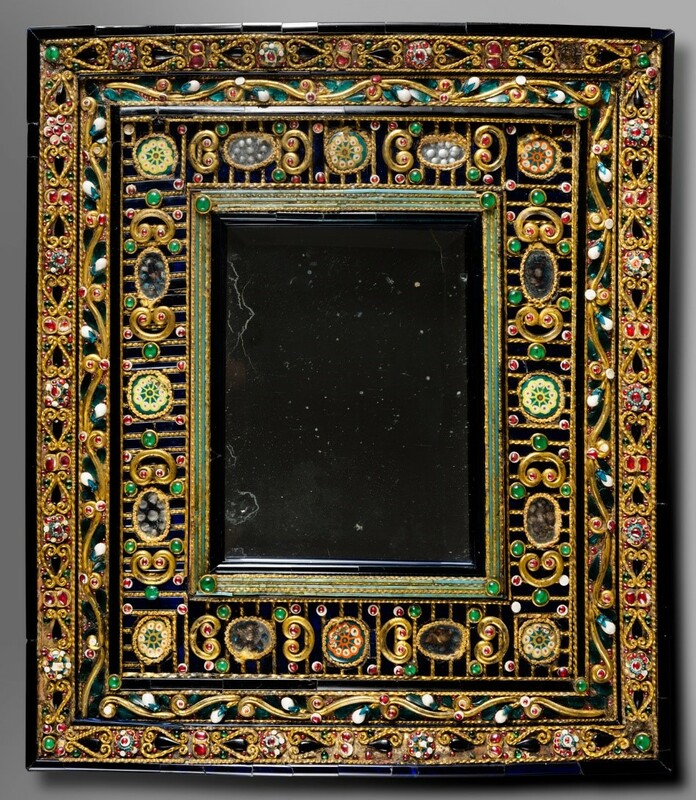 Christopher Dresser (1834 –1904) was a designer and design theorist, now widely known as one of the first and most important, independent designers. 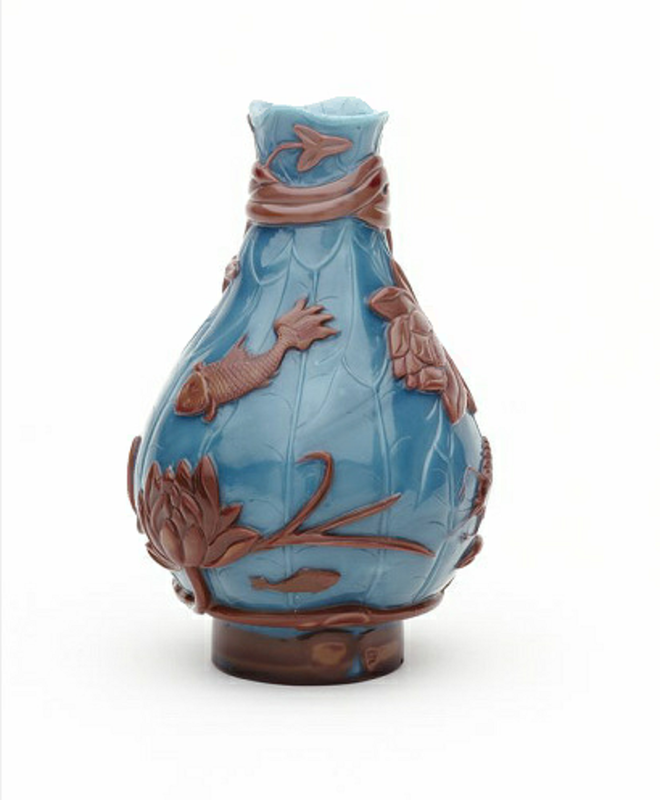 He was a pivotal figure in the Aesthetic Movement and a major contributor to the allied Anglo-Japanese or Modern English style, both of which had long-lasting international influence. Read more about TALK - Evidence of Original Designs by Dr Christopher Dresser in the Pattern Books of Thomas Webb Stourbridge - by Clive Manison. 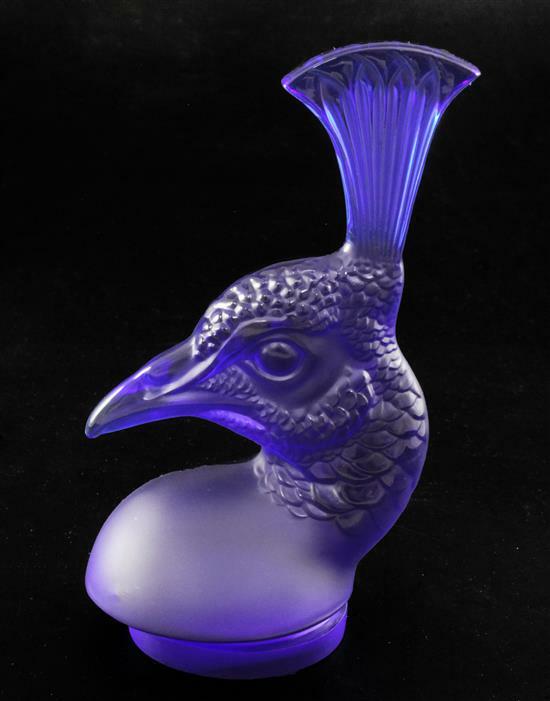 Read more about Lalique Mascot Sale. 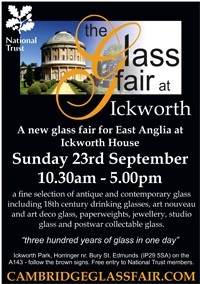 On Sunday 23rd September there will be a real treat for lovers of glass when a new specialist fair comes to Ickworth House. 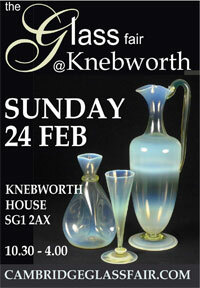 With around 40 exhibitors offering a wide selection of fine antique and collectable glass, ranging from Georgian drinking glasses through to contemporary studio pieces, this will be a wonderful day out in the beautiful surroundings of Ickworth house, park and gardens near Bury St Edmunds. 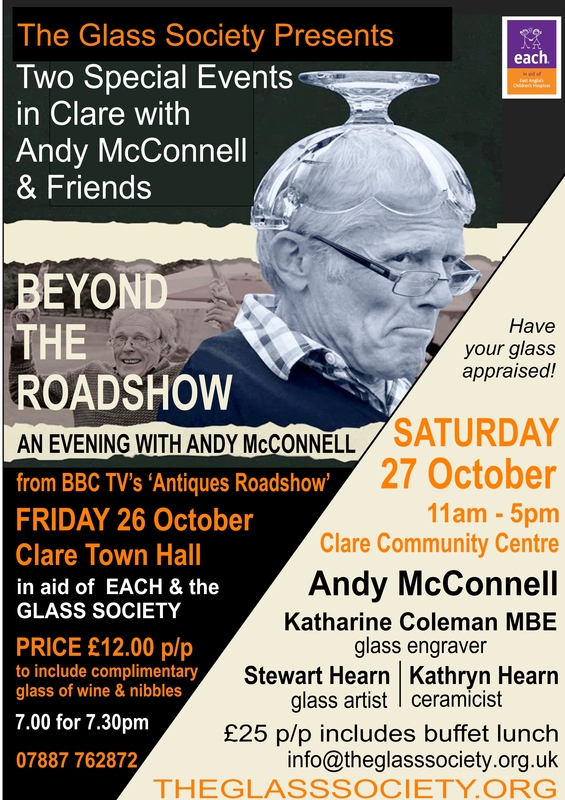 Brought to you by Specialist Glass Fairs Ltd, who also organise the Knebworth and National Glass Fairs, this event is a must whether you are seeking to add to your collection or just love beautiful things. Entry to the house, gardens and fair is free for National Trust members or admission is £8.10 to the gardens which gives free entry to the fair. Do put the date in your diary! The fair is open from 10.30am-5.00pm, refreshments are available and there is free parking. Ickworth Park, Horringer nr. Bury St. Edmunds (IP29 5SA) on the A143 - follow the brown signs. 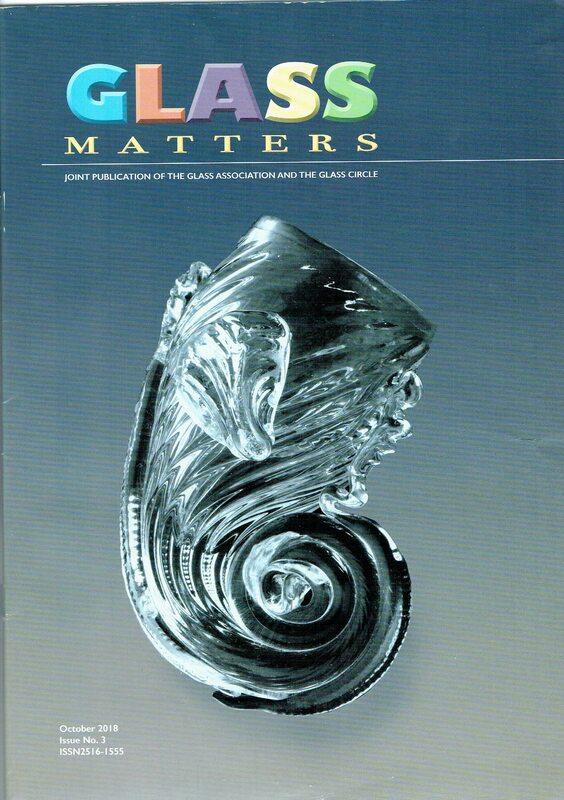 The June Glass Circle meeting ' The Art of Flame Glass Working ' by Sylvie Lhermite-King. FULL DETAILS OF THE LECTURE. Visit to view a Member's Glass Collection with a picnic lunch. 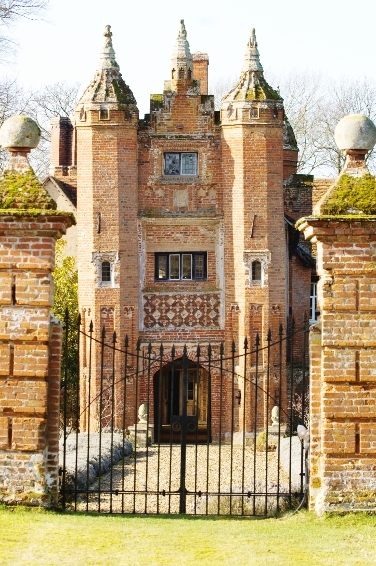 Legend has it that West Stow Hall was built by Sir John Croftes, 'Master of the Horse to Mary Tudor', Dowager Queen of France and Duchess of Suffolk, and that he had her coat of arms placed over the door to the gatehouse by way of a compliment to her. The current custodians of West Stow are Eileen and Andy Gilbert who have been in residence for approximately eight years. 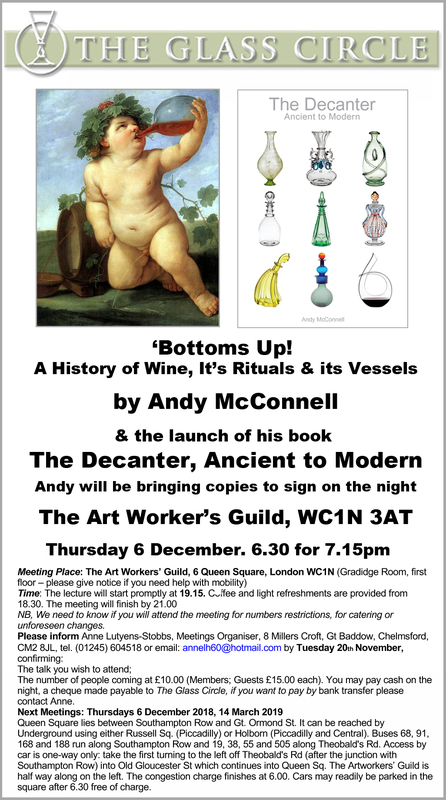 Andy has a large collection of glass, scattered around the house, ranging from Eighteenth century wine glasses through to Whitefriars and Lynn Glass. 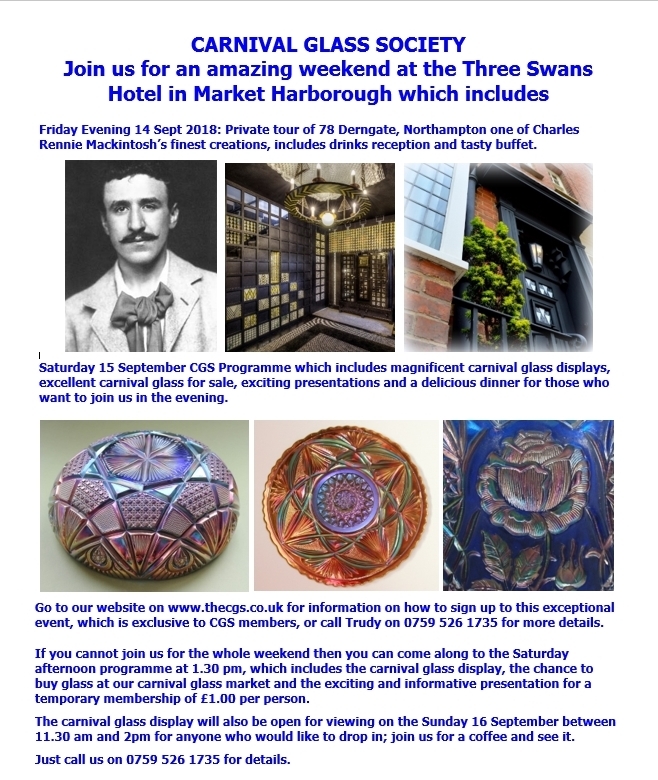 Read more about Visit to view a Member's Glass Collection with a picnic lunch. Visit to The Howarth Art Gallery and view a Member's Glass Collection. 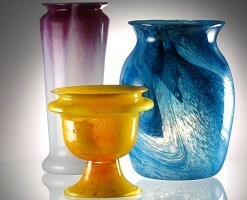 We start the day with the viewing of a member's collection of glass made in North West England. 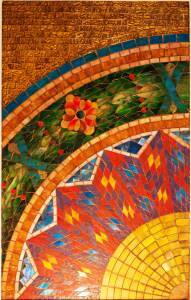 We then visit the Gallery in Accrington which has the largest public collection of Tiffany Glass in Europe. 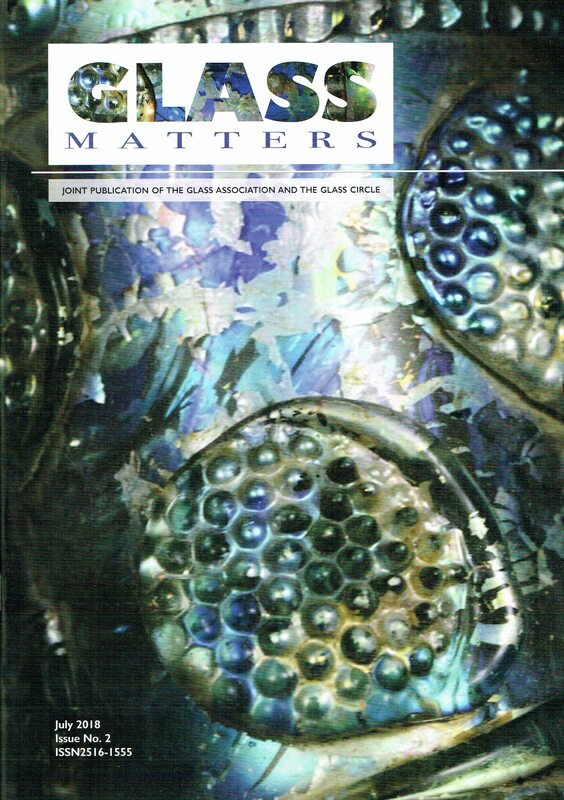 Read more about Visit to The Howarth Art Gallery and view a Member's Glass Collection. 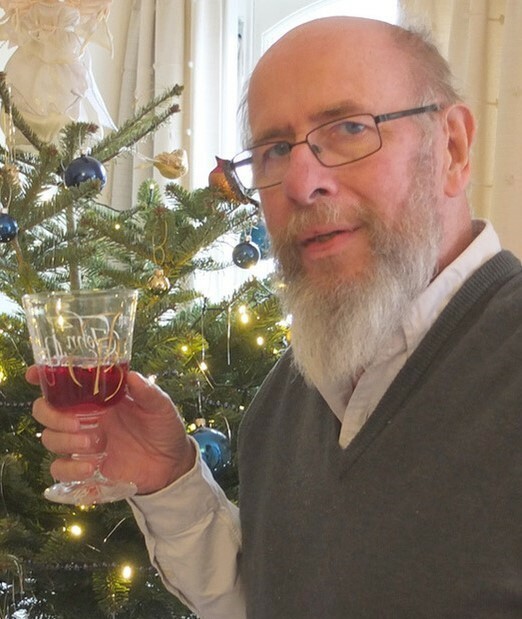 Glass Beads in Early Anglo-Saxon England: Productions & Origins - Lecture by Jimmy Peake. Our understanding of the production of glass artefacts in early medieval England between the 5th and 7th centuries is limited. Scientific analysis of a large number of glass beads excavated from the early Anglo-Saxon cemetery complex at RAF Lakenheath (Eriswell), Suffolk, has provided new insights into the ways in which glass was procured and used in early medieval beadmaking. The results have revealed a number of distinct types of glass produced in the ‘Roman’ glassmaking tradition, which are likely to have their origins in the Near East. Full Details of the meeting on 24th May. Read more about Glass Beads in Early Anglo-Saxon England: Productions & Origins - Lecture by Jimmy Peake. 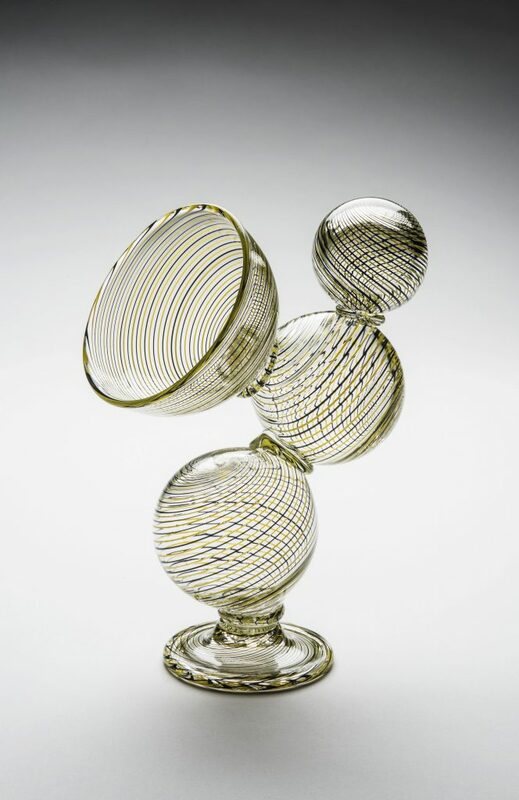 On 20th April, Glasmuseet Ebeltoft will open this year’s extensive summer exhibition, ’Scandinavian Glass – Starting All Over’. More than 70 artists and designers from Sweden, Norway, Finland, Iceland and Denmark are represented in the exhibition, which will be the largest presentation of Nordic glass for decades. Full Details on view until 23rd September.